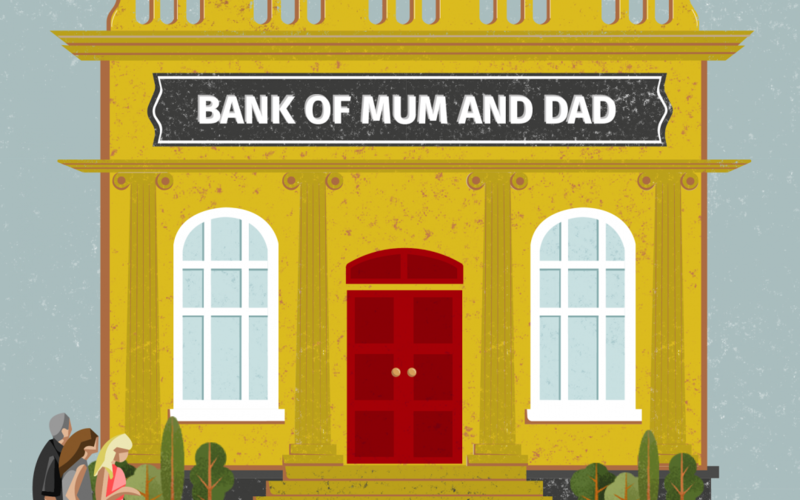 Are you the bank of Mum and Dad? Your children are adult now and making their way in the world – you should be off the hook financially, shouldn’t you? Well, with house prices rising higher than ever and millennials being burdened by higher education loans and renting costs, many still end up falling back on the ‘bank of mum and dad’. More and more of the younger generation are turning to their parents or grandparents for loans or gifts to fund deposits on a house or other big purchases. Should you loan money to your children? And what should you consider before handing over the cash? Our simple, straight-forward guide will help you navigate through this tricky subject. 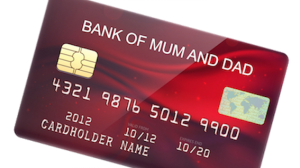 It goes without saying that you shouldn’t feel obliged to lend money to your adult children. You’ve supported them throughout their childhood and given them the means to get out in the world and make their own income. But your money is your money, and there should be no obligation to part with it unless you choose to. Lending a big chunk of money could have a considerable impact on your own financial position, for example when you’ll be able to retire, or if you can take that dream trip you’ve been waiting to go on for years. There’s a big difference between offering a loan to your children, and feeling pressured to part with your money. You should also consider whether you’re helping your adult child to build good financial habits, rather than continuing to rely on you to bail them out. have they failed to meet other financial arrangements and damaged their credit score? Also, Make sure you think about whether you will be able to offer the same financial support to all of your children – it could cause conflict if you lend money to one and not to another. Don’t commit yourself to lending any money before you’re comfortable and secure in your own financial position. Make sure you take a good look at your finances, including income, mortgage, savings and retirement plans. Where will your money be coming from, and are you certain that you won’t need this money in the near future? If your circumstances suddenly change, it could be incredibly difficult to get your money back if you have a sudden need of it. For this reason, you really need to think through every possible scenario, no matter how uncomfortable this can be. Do you have life insurance and critical illness insurance, for example? It’s a good idea to talk to a financial adviser before committing yourself to a loan, even (or especially) to a family member. When it comes to agreeing the terms of the loan, the best practice is to put it into a written agreement, no matter how close you are to your son or daughter. This doesn’t mean that you don’t trust them – it just provides you all with a thought-out document to refer to. The terms of the loan will be crystal clear to every one. It will also come in handy several years down the line, if you differ upon the exact conditions and terms you agreed at the time! Having a written agreement helps to separate out the financial from the personal, allowing you to maintain your relationships without any confusion, disagreement or resentment getting in the way. You can find out more about how to put together a written agreement and how to keep records in this useful article. You’ll need to think through and plan for every eventuality – no matter how awkward it may seem. Will your son or daughter be able to pay you back? 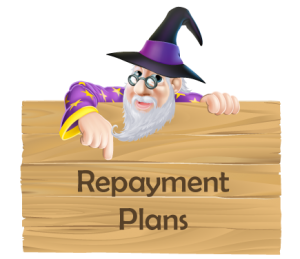 How soon would you like to get your money back, and is it feasible that they’ll be able to pay you back within this timeframe? What will happen if their financial situation changes – for example, they lose their job and can no longer afford to make repayments on your loan. You need to have open, honest conversations covering all these kind of questions. Talking about money can be difficult, but try not to make anything personal. If the money is going into a house deposit for your child and their partner, it’s a good idea to have a plan in place as to what would happen to your money if they separate. No one wants to think about these things, but it’s much better to be prepared ahead of time in case it does happen. Have a solicitor draw up a ‘declaration of trust’, which states how the property will be divided in the event of sale. You could also get a ‘deed of trust’, which will detail how much money you put into the purchase of your child’s house, and how you will get the money back if the house is sold. How will they be furnishing their property, is your money also going towards this? One of the main reasons children ask their parents for a loan is to scrape together the lump sum needed to put a deposit down on a house. With house prices rising 91% between 2000 and 2011, and salaries rising just 40% in the same period, it’s harder than ever for the younger generations to get on the property ladder. It’s understandable then that many are dependent on a loan from mum and dad, or even a grandparent, to buy their first house. However, you must be very clear whether you are giving the money as a gift, or as a loan. This distinction even has legal implications and can affect whether their mortgage application is accepted or not. Banks and lenders tend to look more favourably on gifts rather than loans from family, and will often seek proof in the form of a written letter that a ‘gift’ does not need to be repaid. The mortgage provider has to assess the risk that the loan could be retracted, and the extra financial pressure of having to pay back to the loan at some point. The best thing to do is for your child to check with their potential mortgage provider as to their specific regulations around money gifts from family members, and whether this will have any impact upon their mortgage application. You can find out more about the differences between lending and gifting money for a house purchase here. Talking money with family can be a tricky subject, and lending money to family members even more so. Here we’ve covered all the questions you need to ask yourself before you decide to lend money to your adult children. You need to have a strategic plan as to how long you’re lending the money for, how and when you’ll expect to get paid back, and what happens in case of a sudden change in financial situation or circumstance. It definitely is possible to lend money to your children without any fall-outs or arguments, and thinking through the points in this article should make this process easier for everyone involved!